Adan Ramie has read 6 of 50 books. Adan Ramie read 62 books of her goal of 50! Adan Ramie read 111 books of her goal of 100! Adan Ramie read 83 books of her goal of 75! Adan Ramie read 53 books of her goal of 50! I write what compels me, I read what calls me, and I try not to lock myself into any boxes. That's why my books, and my book reviews, span over multiple genres, themes, and viewpoints. I'm also currently looking for my top 1,000 fans. Head over to my website to get in my Constant Readers group and see all the goodies I have in store for you. I'm so thankful for the people who have reviewed my work so far, and I'm excited to see what new readers think! Adan Ramie is a fiction author who lives in a small town in southeast Texas with her amazing, supportive wife and delightfully rambunctious children. 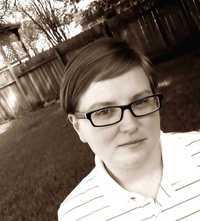 She writes queer fiction, lesfic, suspense, and romance. Find her at www.adanramie.com. To ask Adan Ramie questions, please sign up. Adan Ramie Doing what I love every day and meeting others who have the same passion. This book was a little long on the parent responses, but overall I think there's some really great advice within the pages. Highly recommend, though provoking. We’d love your help. Let us know what’s wrong with this preview of How to Talk So Kids Will Listen & Listen So Kids Will Talk by Adele Faber. We’d love your help. Let us know what’s wrong with this preview of More Than Friends by Erin Dutton. We’d love your help. Let us know what’s wrong with this preview of A Place Somewhere by R.J. Samuel. We’d love your help. Let us know what’s wrong with this preview of Get Your House Clean Now by Beth McGee. We’d love your help. Let us know what’s wrong with this preview of Utopia Pending by Fallacious Rose.